Jay B. Silverman | Ruskin Moscou Faltischek, P.C. Mr. Silverman was the Assistant General Counsel in the Medical Society of the State of New York’s (“MSSNY”) Office of General Counsel where handled all of the organizations legal matters and advised MSSNY members on a variety of medical-legal issues. After leaving MSSNY, Mr. Silverman entered private practice and since then has devoted his full efforts to the practice of Health Law. Mr. Silverman has extensive experience in representing individual physicians, large single and multi-specialty physician groups, independent practice associations, licensed health care professionals, ambulatory surgery centers, diagnostic and treatment facilities, renal dialysis facilities, clinical laboratories, management services organizations, county medical societies and academies of medicine, hospital medical staffs, not for profit organizations, licensed health care facilities and health care businesses. 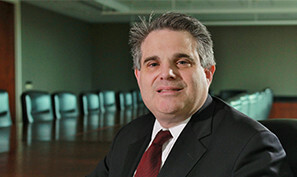 Mr. Silverman is frequently sought out to lecture on medical-legal issues to medical and legal organizations on topics such as physician employment contracts with health systems, restrictive covenants, business arrangements including shareholder and operating agreements, joint ventures arrangements and mergers, business disputes, the physician discipline process, fraud and abuse, the federal and New York State anti-referral laws; the Medicare and Medicaid Anti-Kickback Statute, fee splitting, New York’s corporate practice of medicine prohibition, hospital privileges issues, demands for repayment by government and private payors, and the privacy and security regulations that are part of the Health Insurance Portability and Accountability Act of 1996 (“HIPAA”). Since 1996, Mr. Silverman has been General Counsel to the Suffolk County Medical Society and the Suffolk Academy of Medicine. Mr. Silverman serves on the Executive Committee of the New York State Bar Association Health Law Section and is chair of the Healthcare Professionals Committee. He is also a member of the New York State Department of Health Medicaid Managed Care Advisory Review Panel which was created by Chapter 649 of the Laws of 1996 to monitor enrollment of Medicaid recipients in managed care plans and ensure access to care in these health care delivery systems.